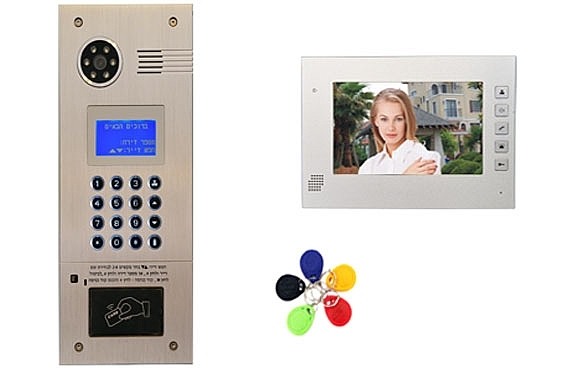 WinAccess intercom system for buildings are one of the most advanced on the market. Our intercom system has the possibility of support for up to 250 users. Our system has complete interface with Hebrew and European languages so that it is functional for every one of its users. The panel of our intercom has backlight which is controlled by a photo-electric cell so that in the dark tenants or guests can continue to conveniently use the intercom panel. In our intercom system the intercom panel has a built-in camera backed up by infra-red lighting, and this is known as intercom camera for perfect visibility even in the dark. In the WinAccess intercom systems for buildings you can search according to family name using the alphabet. You have to choose the Up or Down arrows and press the first letter of the family name as appears on the number keys on the panel. Pressing the number according to letter you receive a group of family names according to alphabet, and then you roll down the list of names using the arrows until reaching the desired name. The desired family name will appear in bold by a flashing sign. Now pressing the pound key a call is made to the tenant or chosen family name. 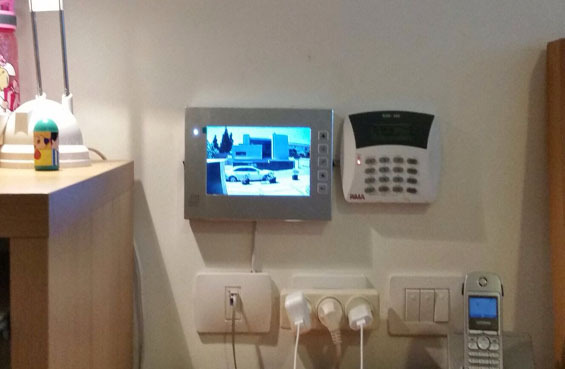 Our intercom systems for buildings include 5 access control RF Tag Keys for each apartment. These entrance keys(chips) allow convenient and safe entrance to the building by linking the pad to ???? which is built-in the intercom panel. This is accomplished without need to press entrance code on the panel itself. This also reduces wear of intercom panel. 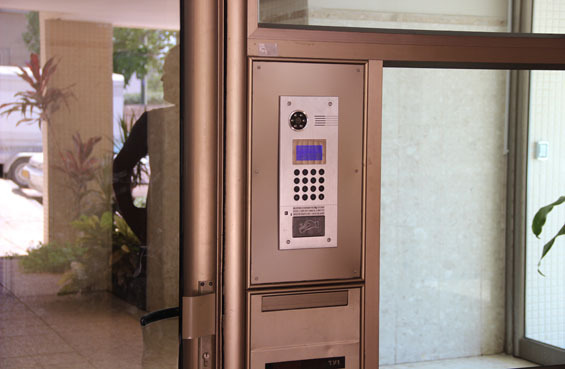 WinAccess intercom systems for buildings have the option to work mot only in one entrance of the building, but also an area with several entrances. For example, the front door and the back door. To our intercom systems for buildings you can add a special table panel which is known as guard stand/desk. This model is designed for buildings with a security guard in the lobby. These units are also called Camera Intercoms. The intercom system is integrated with a high quality 7” flat color screen in the apartment. This screen enables to speak freely without holding a microphone. From the apartment screen you can open the entrance door using an opening switch on the front of the screen for opening the front door. You can initiate a call to the picture on the intercom panel so that you can view what is happening at the entrance of the building by pressing a button on the screen. You can also initiate a call to the security guard stand/desk. When receiving a call from a visitor you can converse or open the door immediately or ignore the call. Of course, you can converse with the visitor who made the call to the apartment. 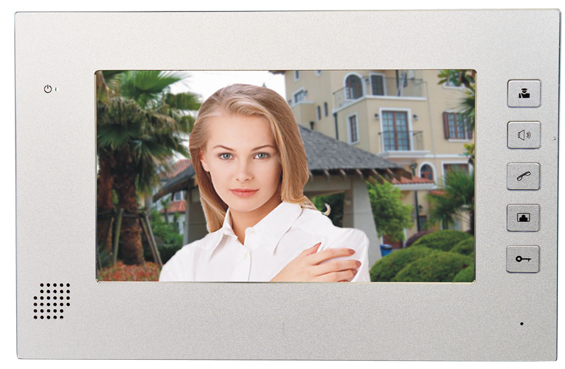 In our intercom system you can integrate several screens in one apartment. 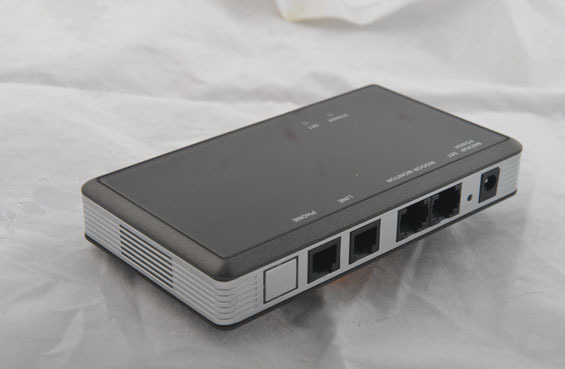 The system can be upgraded by adding a connecting adapter of the apartment screen to the apartment telephone line so that when there is a call to the apartment it can be answered from the screen unit and from the apartment telephone. 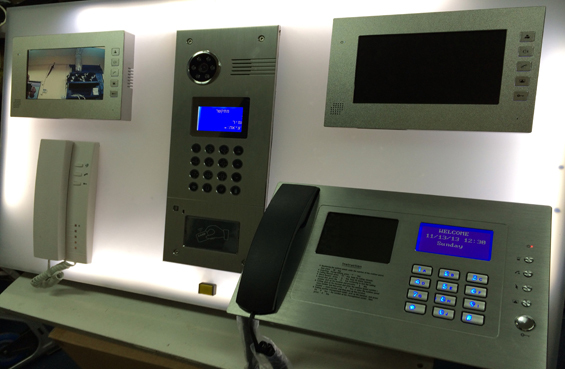 The enhanced technology and our expertise in the field of intercom for buildings combined with attention to our first-class service create a world-beating intercom system for buildings.